Pencils Books and Dirty Looks: Fluency help and a quick giveaway!! Fluency help and a quick giveaway!! Where did the weekend go?? I feel like we lost more than an hour! 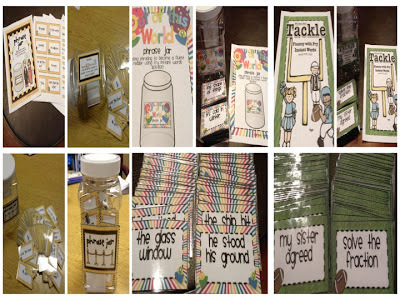 I spent most of my free time working on two phrase jars to help my students who still are not fluent readers. Many would think students that read above grade level should also be above grade in fluency. Sometimes that isn't the case. I have several students that are above average decoders but below average in fluency. One activity that has helped these students work on fluency this year is my Phrase Jar using the first 300 Fry Instant words. However, we are at the point in the year when they need some more challenging words to help with rate. 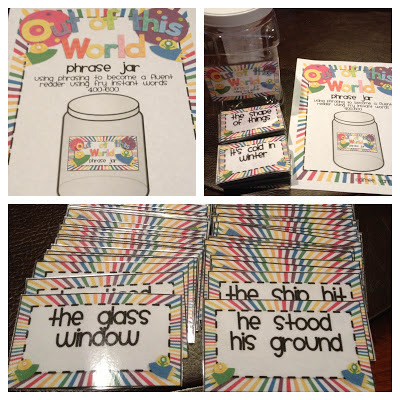 This is why I decided to make two more phrase jars, one with words 301-600 and one with words 601-1,000. I have the jars ready to go for tomorrow! The photos below show the completed jars. If you would like to have a closer look, you can click on the pictures to see them in my TpT store. I also bundled all three jars for a $5.00 savings. I would like to giveaway the bundled set to three lucky winners! 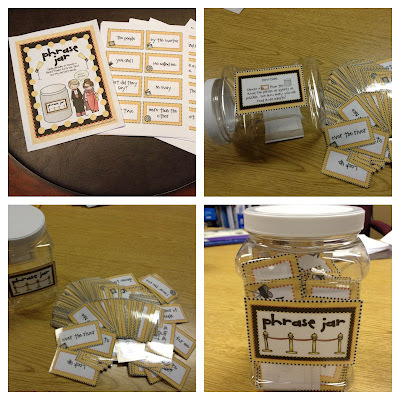 Comment below if you would like to win my Phrase Jar bundle! I'll choose the winners tomorrow evening. Enjoy what's left of your weekend!! I would LOVE these! I have several kiddos who need to work on fluency. These look terrific! 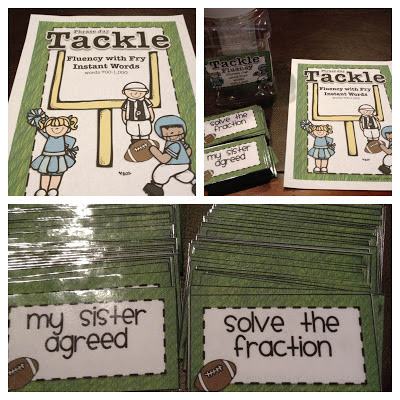 Would so love to use these with my intervention groups! I would love to have your phrase cards. It would be wonderful to use for small group instruction or partner them up with another student. I have 5 students that need to work on fluency. This looks great! Thanks for the chance to win! What a great resource. You are so creative. Ooooo! I would definitely love to win this bundled set! Heck, I'd love to win any of the sets! You are so right! Students can be on grade level for comprehension but not fluency!! These look great and I can see why it took you all weekend to get them ready! They look fabulous! Love your stuff and blog. Thanks for all the ideas and activities!!! These are awesome! I would love to use these in my classroom. Fab idea!! I love them! Love this idea! Just stumbled across your blog and I am so glad I did! I am your newest follower! Whoa! When did 500 happen and a freebie!!! Five For Fr-unday??? ...and a little giveaway! A very productive snow day!